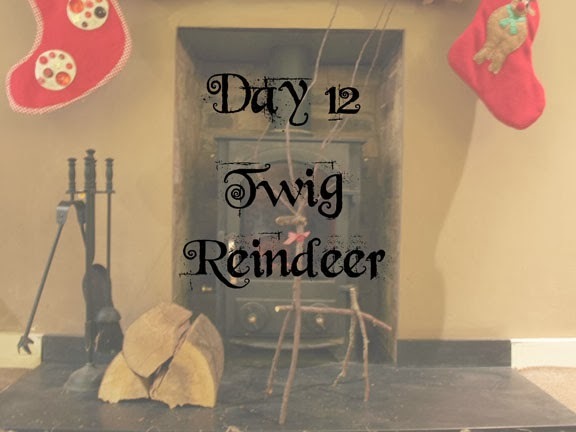 Day 12 of Twelve Days of Christmas is a small pile of twigs!!…. Gather your branches and twigs. We went for a walk and raided the hedgerows, but see what you can find in your garden or local park. At this time of year, you’ll need to allow time for your collection to dry out. A day or so in front of a fire or radiator should do it! 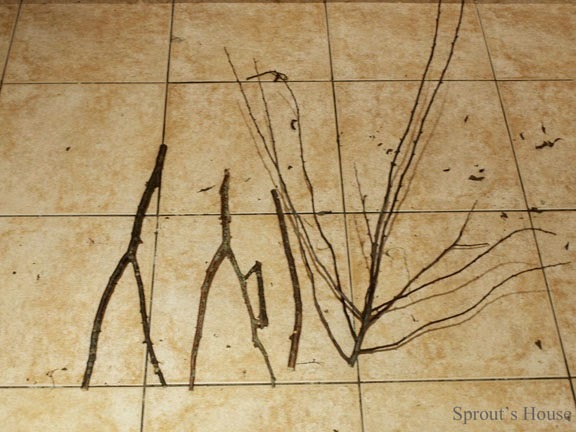 Once your branches are dry, sort through them and start identifying which pieces you’re going to use. 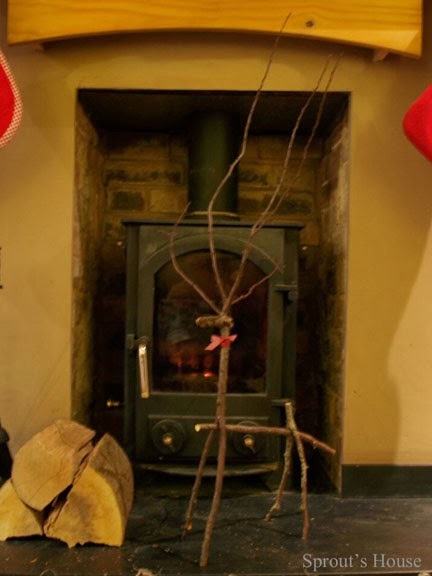 Broadly speaking, you’ll need two Y shaped pieces that will be used as the legs, a straight-ish piece for the body, a smaller straight piece for the head and finally an antler shaped set of branches. What a pleasure to visit your beautiful blog! I love your little reindeer, it's adorable! I wanted to let you know I've got FB issues at the moment and can't follow you back but I've followed lots of other ways. I'm so thrilled to have found you. Thanks for your visit.